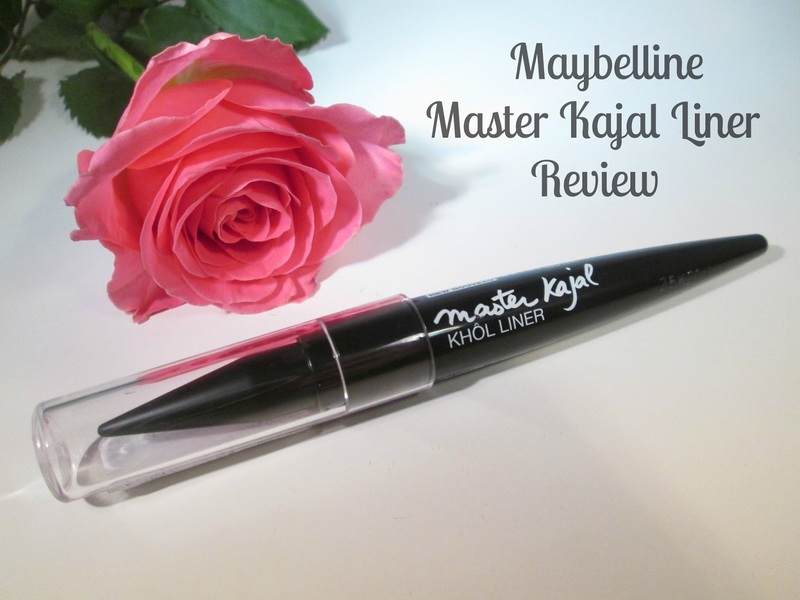 You may remember that in my February 'Valentines' Glossybox I received the Maybelline Master Kajal Liner, which I think most of us girlie's received in our Glossybox's, so today I thought I'd share with you all my thoughts on it. The Maybelline Master Kajal Liner in Pitch Black (£5.99) is a cream-stick liner infused with oriental oils and concentrated in colour pigments. It claims to have a beautiful creamy formula that glides on easily, is long-lasting, with a no-smudge formula which creates precise lines and is paraben free. I was super happy to get this Kajal Liner in my Glossy Box as I'd been umming and arhing over whether to buy it for a super long time, but I have to admit I'm really disappointed in it. The liner was created to be used to line all around the eyes, including the inner waterline, for a bold, intense look without needing to be sharpened, but it's just so hard to work with. To use this to line your upper lash line and create a nice feline flick is almost impossible because of the liners shape, and once you've worn down the point there is no way you can create any straight lines. I also found the pigmentation pretty poor, the shade name of the liner is named 'Pitch Black' so automatically I assumed the colour payoff would be great and that it would be an intense black shade but no, its more charcoal than pitch black to me. 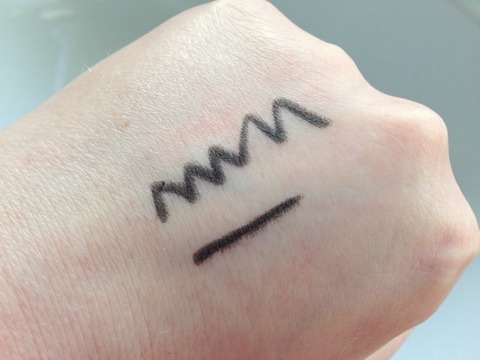 Using the Kajal Liner in the waterline was just as disappointing for me too, it's not water resistant at all and it had worn off within half an hour of me wearing it. The only good use I've found for this liner is by using it as a base to create a dark smokey eye, the creamy formula makes it very smudgy so it's great for smoking out, so if you like an intense smokey eye for a night out this could work as a good base, otherwise I really don't see this liner being any use at all. Overall I'm really not that impressed with Maybelline's Master Kajal Liner, thier are 2 other shades in the Master Kajal collection, 'Lapis Blue' and 'Oriental Gold' they might be better in quality than Picth Black, but considering how unimpressed I am I dont think I'll be trying the other shades anytime soon. Have you tried the Kajal Liner's from Maybelline?? What did you think?? I'd love to know. I have been meaning to try this! I heard great things about the loreal one. I usually love Maybelline eyeliner. I guess I have to pass this on. Thank for the honest review!